"I don't want to die, I want to live. I'm pretty good at running away, and this is my escape!" 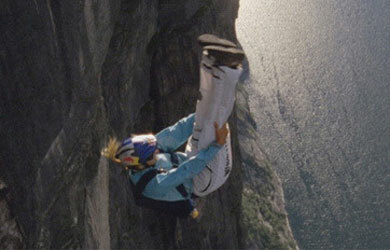 This is how Karina Hollekim describes her dedication to BASE jumping, the most dangerous of all extreme sports. 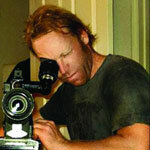 Documentary filmmaker Jens Hoffman first met the now 30-year-old Norwegian in 2002. He immediately started to film, accompanying her through many stages of her BASE-jumping career, until it comes to a sudden stop, changing all aspects of her life. direction. After some years in television his ultimate transfer to real films was marked by his work on an international IMAX project in 1998. In 2000, he started his own production company, F24 Film, which produced not only commercials and corporate movies but also feature length documentaries. More recently, these have become the focus of his work and have also received several international awards. His 2006 film, “Fatima's Hand", about a perilous BASE-jump in the Mali desert has received 14 awards from international film festivals. His recent documentaries include: “Journey to the Center" - shot in China, produced in Munich and Los Angeles; the long-term project, “20 Seconds of Joy", which is also collecting international awards and was presented at HotDocs 2008 in Toronto.